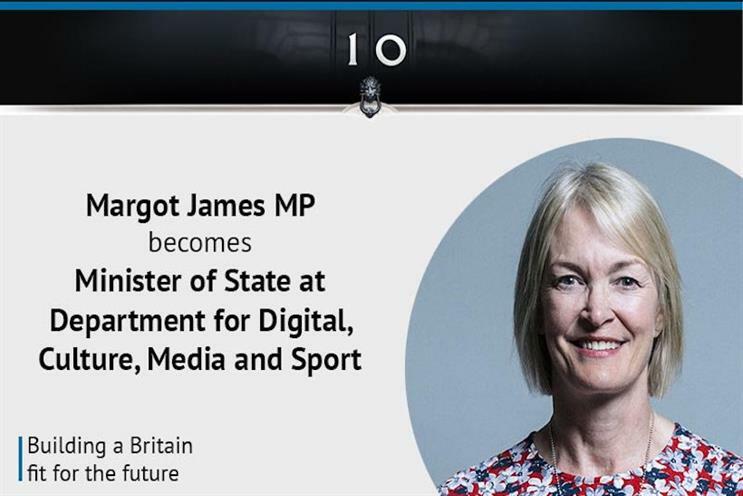 Matt Hancock's promotion to culture secretary has led to Margot James' appointment as a minister in his department. James is the Conservative MP for Stourbridge and was previously at BEIS as minister for small business, consumers and corporate responsibility. Hancock was promoted yesterday to succeed Karen Bradley, who is moving to the post of Northern Ireland secretary.